Felix Rosenqvist secured his second consecutive victory in the Formula 3 Macau Grand Prix with a dominant performance on Sunday. Rosenqvist got away well from pole position, but front row starter Charles Leclerc managed to draft past him on the run to Lisboa – and pulled off a breathtaking move into the tight right-hander to grab the lead. But a slightly tardy exit from the final corner at the end of the lap allowed Rosenqvist to close in and dive past him at the first left-hand kink. 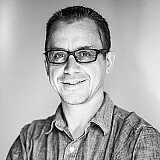 Leclerc was unperturbed though and slotted into Rosenqvist's slipstream – and repeated his earlier move to take the lead around the outside at Lisboa. But the race was red-flagged at that point after a huge crash involving Carlin trio Gustavo Menezes, Yu Kanamaru and Ryan Tveter, as well as Mitsunori Takaboshi, the wrecked cars leaving debris all over the track at Fishermen's Bend. 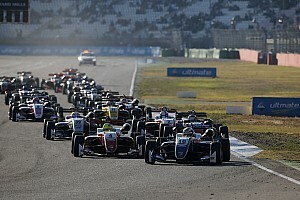 Leclerc led away at the safety car restart, but the van Amersfoort driver was swallowed up by both Rosenqvist and the third-placed Sam MacLeod on the run into Lisboa. That move gave Rosenqvist clear breathing space at the front and he was able to edge himself clear over the next few laps. By the time Leclerc had got past MacLeod, with a brilliant pass around the outside into Lisboa on lap seven, Rosenqvist was 2.5 seconds up the road. Leclerc was able to cut into Rosenqvist's advantage but not at a quick enough rate – and the pair crossed the finish line 1.1 seconds apart. 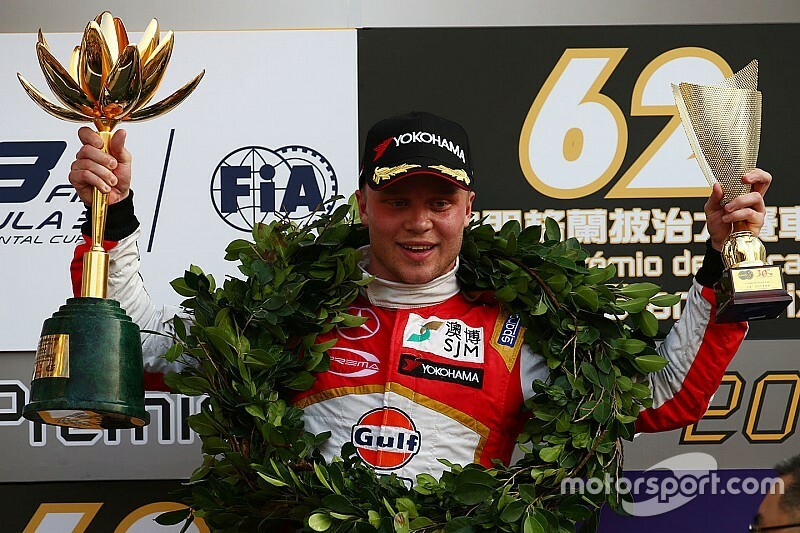 Speaking after his win, Rosenqvist said: "It feels even better to win it the second time. In the beginning of the race I felt confident with the car, so even though Charles got ahead of me on the first lap I was sure I could get him back." Leclerc concurred that Rosenqvist was probably too quick to be beaten this weekend, despite his best efforts. "We were quite fast in the beginning," he said. 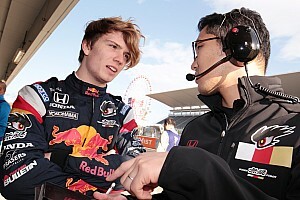 "But then after the safety car restart I could not really do anything. "I didn't have any slipstream in front of me, so I got overtaken by Felix and Sam. Then I struggled quite a lot to pass Sam and lost loads of time to Felix. "But he was still really fast. At the end of the race I managed to catch up a little bit, but it wasn't enough. So I am a bit disappointed but really happy still to be second." MacLeod's hopes of a podium were dashed on lap eight when he brushed the wall at Police, which meant Alexander Sims grabbed a top-three spot. Antonio Giovinazzi made a brilliant recovery from his 10th-place start to finish fourth – although would have been left wondering what might have been had he not incurred a penalty in Saturday's race. 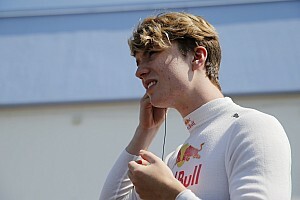 Markus Pommer was fifth, ahead of Santino Ferrucci and Alessio Lorandi, while Lance Stroll, Jake Dennis and Arjun Maini completed the top 10.